When I turned 30 in 2003, I started with my blog 30yearproject.com. Of course, I had been putting stuff online for quite a few years already, not in the least my first major travelogue in 1999, My trip to Russia, which I moved from Travelhog.net to my blog over the past week (which, incidentally, included reworking close to 400 rescanned 35mm photos). 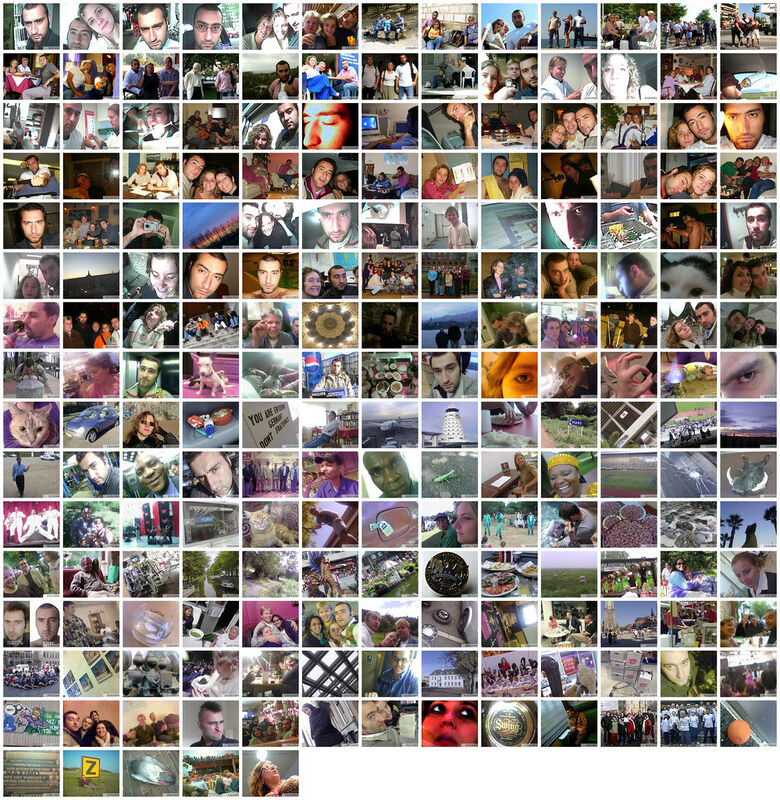 For my 30th birthday, however, I had hatched the plan to, primarily, post a photo of myself or what I was doing at 12 in the afternoon, for every day thereafter. Not surprisingly, this rather quickly threatened to turn into a rather uneventful series of photos, even though the start was good, with a wedding in Greece. At first, I eased up on the 12pm requirement but soon realised I had to use unusual moments which cropped up and take photos of those. Still, after a few months, realisation set in, and I started to take photos only when something ‘special’ was on. 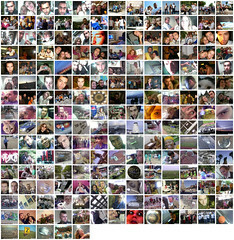 At first, I stored all my photos on my own servers but, from 2005 onwards, I slowly moved to the excellent Flickr, where I now have more than 15000 photos. Now, over the past months (yes, months), I’ve been working on rebuilding my website (that is, what you’re looking at now, most likely) and moving all the photos which I still have on (one of) my websites to Flickr. For photos I took on trips, that’s not an issue, but many of these daily photos were made with very crappy cameras, including phone-cams. In fact, many of these daily photos are so bad, I’d be ashamed to put them on Flickr. So, not wanting to lose them altogether, which would be a shame, I threw them together in one large mosaic. Next: Next post: I am worried. I am very worried.